Aluminum RFID Card Case. "The Next Success" Logo on top. ​Create a great first impression with this brushed aluminum mini briefcase holder. The mini aluminum case is more than just a business card case it is an RFID Aluminum Wallet Credit Card and business card Holder. Store your credit cards, debit cards, business cards, coins, ID and photos in this mini briefcase. It'll hold a stack of your business cards for your next big meeting, conference, or convention. As well, credit cards and debit cards are protected against demagnetization and RFID identity theft. Your Credit cards and Debit cards information can be copied in any public places like subway, restaurants, buses, airport, etc. Are you worried about all those crimes which illegally collect your card information? 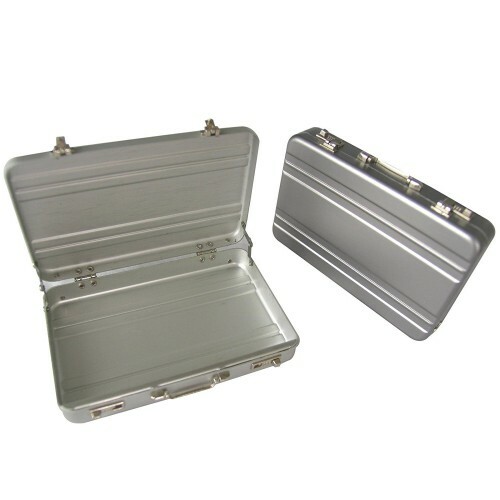 We've got you covered with our brushed aluminum mini briefcase holder which can block unwanted RFID scanners. The RFID Aluminum Wallet Credit Card and business card Holder is a great gift.